Federal MAC Audit Defense Attorneys – Oberheiden, P.C. Medicare Administrative Contractor (MAC) audits are invasive and time-consuming events that can lead to substantial financial liability for health care providers. Mistakes by auditors and health care provider personnel can lead to costly consequences. Therefore, providers need to take a comprehensive approach to defending against MAC audits with the goal of preventing further federal inquiry. Medicare Administrative Contractors (MACs) are, “private health care insurer[s] that ha[ve] been awarded a geographic jurisdiction to process Medicare Part A and [B] medical claims or Durable Medical Equipment (DME) claims for Medicare Fee-For-Service (FFS) beneficiaries.” They play several roles within the Centers for Medicare and Medicaid Services’ (CMS) “fee-for-service” audit recovery program, one of which includes auditing Medicare Part A and B reimbursement claims, claims submitted by DME companies, and claims from home health and hospice service providers. During an audit, MAC auditors will review a provider’s Medicare billing records, and they may request to speak with certain employees. Once they have reviewed the information solicited, they will issue a finding that either: (i) the provider’s billings are accurate, (ii) the provider has underbilled Medicare and is entitled to additional reimbursement, or (iii) the provider has overbilled Medicare and is liable for recoupments. Most audit determinations fall into the third category. In many cases, a health care provider’s alleged recoupment liability will be substantial. Under the fee-for-service model, MACs and other CMS audit contractors have a financial incentive to recover recoupments, and data from recent years indicate that audit contractors seek to recoup far more than they determine needs to be reimbursed. While some providers undoubtedly make mistakes that result in overbillings (and cases of intentional Medicare fraud are the exception to the norm), in many cases, substantial demands for recoupment are the result of errors during the auditing process. Led by experienced health care fraud attorneys and former prosecutors with the U.S. Department of Justice (DOJ) and U.S. Attorney’s Office, Oberheiden, P.C. is a team of experienced defense lawyers who represent health care providers in MAC audits. Our firm has represented physicians, pharmacists, dentists, DME companies, hospitals, hospices, home health care providers, and other individuals and entities in audits and investigations across the country. With our experience in the Medicare system and our knowledge of the government’s health care fraud enforcement strategies, our goal is to provide cost-effective and experienced representation. If you are facing a MAC audit, it is important that you seek legal representation as soon as possible. Early intervention is important, and our attorneys can take action quickly with the goal that you and your personnel are prepared to respond appropriately to the auditors’ requests for information. We provide comprehensive legal representation for health care providers facing Medicare Administrative Contractor audits. From the moment you contact us, we will begin working closely with you and your team to execute a defense strategy with the goal to protect your legal rights and financial interest while satisfying your obligations during the audit process. We will take an active role in the audit in order to address any recoupment liability and secure additional reimbursement if you have underbilled Medicare. We will seek to prove your compliance in order to mitigate the risk of a follow-up federal investigation. The Medicare billing regulations are extremely complex, and changes over time mean that providers, auditors, and attorneys must be constantly focused on remaining up-to-date in order to avoid falling behind. We know the law, and we can make sure that MAC auditors do not misapply it to your disadvantage. Q: Which entities are Medicare Administrative Contractors (MACs)? Since Medicare Administrative Contractors are private companies with government contracts, the list of MACs is subject to change over time. CMS maintains an updated set of MAC resources on its site: Who are the MACs? Each MAC is assigned to a geographic region, and the MACs that audit DME and HHH companies may have different jurisdictions for auditing different types of providers. Q: What are some critical steps to take after being contacted by a Medicare Administrative Contractor? Q: How common are mistakes during MAC audits? Mistakes during MAC audits happen. Whether due to a lack of understanding of the Medicare rules and regulations that apply, misapplication of the relevant rules and regulations, a mistaken understanding of auditing procedures and methodologies, or an overzealous attempt to uncover overbillings in order to recover contingency fees from CMS – MAC auditors make mistakes that can lead to significant consequences for health care providers. 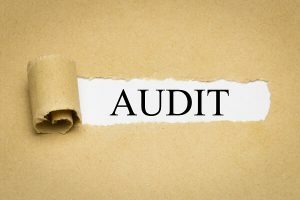 At Oberheiden, P.C., we know the types of mistakes auditors tend to make, and our goal is to spot these mistakes quickly and before they lead to unfavorable audit determinations. Q: What happens if the MAC determines that my business or practice is liable for recoupments? If the MAC determines that your business or practice is liable for recoupments, you will be required to pay the amount that was allegedly overpaid, and you could be held liable for penalties and interest as well. The MAC may seek to implement overpayment prevention methods as well – such as denial of pending claims and prepayment review of future Medicare billings. If there is sufficient evidence of fraud, the MAC may refer your case to CMS, the DOJ, the Office of Inspector General (OIG), or another federal law enforcement agency for investigation and prosecution. This could lead to civil or criminal penalties (including fines and possible prison time) under the False Claims Act, the Anti-Kickback Statute, and a variety of other federal laws. However, once you receive an unfavorable audit determination, you have the right to file an appeal. If the MAC is suggesting that your business or practice has committed Medicare fraud, this may very well be your best (and perhaps only) option for avoiding the consequences we just mentioned. The audit appeals process can be lengthy and time-consuming, and you will need to get started with your appeal quickly in order to address immediate recoupment liability. Q: What types of billing mistakes can lead to recoupment liability in a MAC audit? In a MAC audit, the auditors will be looking for any type of billing error that has resulted in an overpayment from CMS. While certain issues (such as missing dates and other technical deficiencies) fall outside of MACs’ scope of authority for demanding recoupment, generally speaking, any mistake that resulted in an overpayment is potential grounds for a MAC to seek recoupment. The key term here is “mistake.” An overbilling does not have to be intentional in order to be subject to recoupment, and we have found that most overbillings are the result of simple human error and oversight. If someone within your business or practice has made a mistake that resulted in improper reimbursement requests being submitted to Medicare, we can deal with the issue proactively and with the goal that you not be unfairly penalized for an honest mistake. MAC Audits: Why Choose Oberheiden, P.C.? With decades of government and private practice experience, the health care fraud defense team at Oberheiden, P.C. represents medical practitioners, executives, hospitals, and other individuals and entities across the country. Our attorneys have extensive experience in Medicare audits and investigations. Our goal in representing your interests starts with a comprehensive and hands-on approach to providing strategic legal defense. In today’s world, health care providers that bill Medicare are under constant scrutiny. In order to remain compliant and avoid liability, they must have their finger on the pulse of the constantly-evolving federal health care system and the federal government’s shifting priorities for health care fraud enforcement. At Oberheiden, P.C., we take on this role for our clients. Our attorneys have significant knowledge of the federal health care system which they use with the goal being to protect our clients against business and practice-threatening liabilities. You will work directly with our senior attorneys throughout your audit and any ensuing appeals or federal litigation. We will develop a custom-tailored defense strategy focused on the unique circumstances involved in your MAC audit. We will arm you with information so that you know how to deal with auditors and you can feel confident making decisions as you continue to run your business or practice. We will use our experience and resources to challenge auditors’ assumptions, methodologies, and conclusions. We will have one goal, to handle your audit with a commitment to securing the best possible result and as efficiently as possible. If you are facing a MAC audit, we encourage you to contact us promptly so that we can schedule your initial case assessment and intervene in the audit as soon as possible. We represent health care providers across the nation, and we are available when and where our clients need us. To get started today, call our offices at (888) 519-4897, or submit our online case assessment form now.